The island is a free trade zone teeming with duty-free shopping opportunities, and many of its malls are located in Nagoya, the main commercial district in Batam. Nagoya Hill is the crowning glory of the town, a three-storey development that has a mix of retail shopping, dining outlets, and a cinema on the top floor. You can hire a taxi to drive you around the island, which also boasts six golf courses, tropical beaches with water sports, and the Batam Miniature Park that features replicas of traditional houses unique to different provinces within Indonesia. Travel Period: Immediate – Jul 31, 2019. 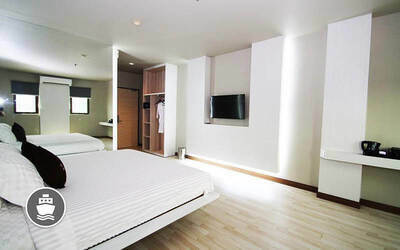 2 Fave vouchers per room, based on double occupancy. Triple sharing = 3 Fave vouchers. Present booking confirmation and passport(s) upon check in. Compulsory passenger departure fee and fuel surcharge: SGD28 per person (payable at hotel upon check-in). 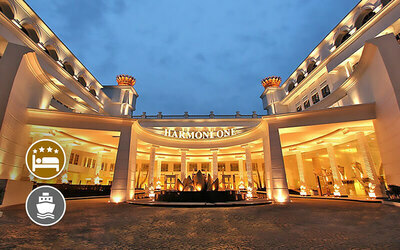 Fee will be converted to Indonesian Rupiah at the hotel’s prevailing daily exchange rates. Single traveller: Purchase 1 Fave voucher + additional SGD50 nett per person. Triple sharing: 3 Fave vouchers. 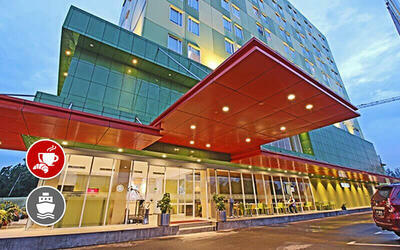 Stay without extra bed with breakfast and return ferry for child aged 11 years and below: $8 nett per room per night.